Free Dental Care for Children 0-17! Free Dental Care through FUNtastic Dental & Orthodontics through our partnership with Give Kids a Smile. Know of someone special experiencing financial hardship and cannot afford dental care for their children? 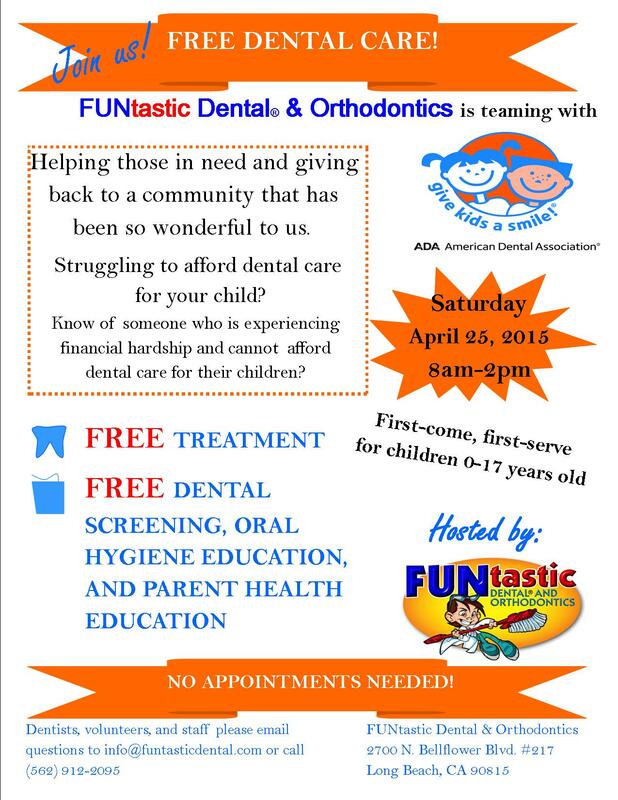 FUNtastic Dental & Orthodontics is teaming with American Dental Association to provide children, ages 0-17, free treatment and free dental screening on Sat., April 25, 8am-2pm.